Government has announced that power utility company, ZESCO Limited will tomorrow commence the importation of 148 Megawatts of power from Mozambique as a mitigation measure of the current load shedding in the country. 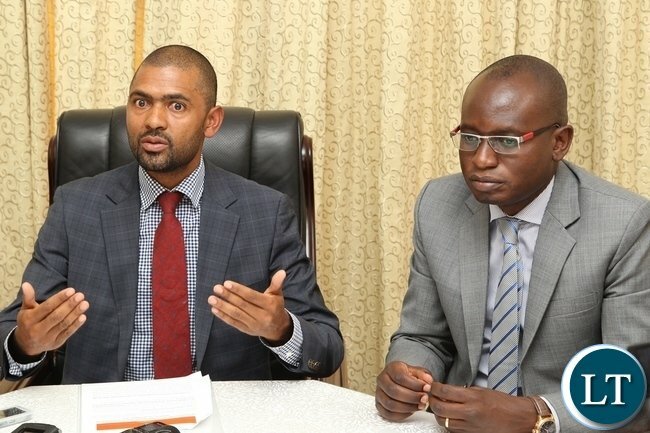 Addressing journalists in Lusaka today after the 18th Cabinet meeting at State House, Acting Chief Government Spokesperson Vincent Mwale said that the power will be imported from a Ship docked at Beira port in Mozambique belonging to a Scottish company called Aggrekkor Company. Mr. Mwale said that there is no doubt that once the program power importation starts tomorrow; the current hours of load shedding will be reduced. Mr. Mwale added that Energy Minister Christopher Yaluma has also briefed Cabinet on the progress being made on the ongoing rehabilitation works on the critical sections of the Kariba Dam to enhance its integrity and extend its lifespan. Mr. Mwale said that Cabinet took note of the good progress that the Zambezi River Authority (ZRA) and the two power utilities for Zambia and Zimbabwe were making in this regard. Under this item, Cabinet approved celebration of this year’s Independence as a special celebration following the attainment of 50 years of independence last year. The 51st Independence Anniversary will, therefore, be celebrated under the theme: “Laying the foundation for a SMART Zambia, finding forgiveness, repentance, compassion and Love in God” which is based on the Scriptures 1 Corinthians 13 Vs 1-13 and 1John 14:16 Vs 19-20. Under this Item, Cabinet approved construction of prisons on a Public Private Partnership (PPP) mode. This is necessary in order to ensure participation of the private sector in infrastructure development in line with Government policy. Government believes the Public Private Sector partnership is one way to enhance infrastructure development in the country and supplement the efforts by Government. Under this item, Cabinet approved in principle, the introduction of a Bill in Parliament to provide for the promotion, control and regulation of the practice of the Traditional, Complementary and Alternative Medicines (TCAM) Practitioners. It is necessary to introduce a Bill in Parliament to protect the Zambian citizens from dangerous practices offered by some traditional healers and also protect the Traditional, Complementary and Alternative Medicines Health Practitioners from litigation. The Zambian society also needs to be protected from fake and fraudulent Traditional Health Practitioners and ensure that the traditional practitioners themselves are regulated and equally protected by law. Under this item, Cabinet approved declaration of the week preceding Independence Day, as the National Health Week to be commemorated annually commencing in 2015. It is necessary for the Government to declare a National Health Week as this will help draw public attention to areas for health action and promotion activities to improve health and programmes by highlighting issues that are vital to improving health. A number of health activities promoting healthy living among Zambians shall be undertaken. These will include seminars or briefings on health-related skills, First Aid, conduct of clinical services such as testing for different cancers, screening for blood pressure and diabetes, voluntary testing for HIV/AIDS and other diseases. Under this item, Cabinet approved Missions Abroad to acquire mortgages for the purchase and construction of Mission Properties. Through this decision, Government intends to gradually reduce the current colossal expenditure of Government on rented property for Chanceries and Residences of the Heads of Mission and other diplomatic staff. The Government has been spending a lot of money in rentals and acquiring permanent Government buildings for use by our Missions Abroad is indeed cardinal as the resources saved shall now be targeted at other equally important sectors such as roads, education and health. (a) Cabinet reviewed the power shortage situation in respect of intervention measures that were recently approved. I wish to announce that ZESCO will tomorrow start the importation of 148 mega watts of power. (b) The Minister of Energy has briefed Cabinet on the progress that has been made on the ongoing rehabilitation works on the critical sections of the Kariba Dam to enhance its integrity and extend its lifespan. Cabinet took note of the good progress that the Zambezi River Authority (ZRA) and the two power utilities for Zambia and Zimbabwe were making in this regard. Utter nonsense shani, iwe teiwe weulanda ati ifintu ni lungu. Lungu cant be nonsense, remember he was part of this cabinet meeting, infact he was the chair!!! namulaba mayo? Nomba ba LT, explain to us laymen how electrical power is imported from a ship docked at beira port. for sure utter nonsense,,,,, how come mozambique has enough water ,,, when our kariba is up river while their dam is down river??? 51st Anniversary from what exactly? We should just sell the country back to the colonialists who built the kariba dam for their own selfish reasons. At least they could manage a country. Aggreko plc is the world’s largest temporary power generation company and major supplier of temperature control equipment. They are hq’ed in Glasgow but have bases around the world incl. Africa. They hire out (rent out), among other things, diesel generators. Now how much, Mr Mwale, is that going to cost us? With an energy crisis Cabinet meets to discuss things like independence day celebrations,how to get a mortgage in europe/america etc and lastly how they are going to buy a few megawatts of power.Zambia we are in trouble! Yes we need more prisons because a lot of you in PF will be residents because of your corruption through over charging the public for projects. These PFools need luxurious prisons because that’s where they are going after State House and Ministerial houses. PF are elected criminals. They should be in jail. I have just heard that Glencore us closing its copper mines in Zambia and this will result in more power to other consumers. With Glencore closing is Zambian operations and CNMC closing Baluba Mine, there should be more power for us to power our computers so that we can monitor the collapse of the Kwacha. At least that’s something positive! And the depreciation of the local unit (Kwacha) was NOT on the agenda?! We are in trouble……this is an absenty landlord govt that has abrogated it economic responsibility. Awe twaumfwa yama. Nomba tuletina nokwipusha? Anyoko the ship is a mobile Power Station. So why are we importing power from Mozambique when the Cahora Basa is further downstream? Most of that dams power has always been exported and contracted to RSA!! Most of that dams power has always been exported and contracted to RSA..you don’t cancel such contracts because fo+lish neighbour Zambia are poor visionless planners. Surely the weakening of the Kwacha as a result of the political parties excessive borrowing should be a discussion point??? Or is that not important enough? The spelling is Aggreko. Don’t worry the website assures us once done supplying a temporary solution they can easily ship out to manage power at the next disaster or Olympics, whichever comes first..
Off to see if Aggreko ship will outlast the sinking bateau…bwato… Where’s ED? ED is probably hiring a prison ship next so we can float them across Tanganyika when their overloaded bwato eventually sinks under the weight of multiple disaster management plans. If a company can supply 140MW of emergency power from a generator ship docked in Mozambique, you seat down and wonder to yourself surely what are we doing pumping all that money costly hydro-electric dams and where are we getting equipment for our substations by ZESCO. Its also pains me to imagine that this selfsame company is currently supplying around 1,000 MW of temporary power in 20 countries in Africa even with their natural resources. When are Afrikans going to wake up!! Boggles the mind Double Jay. On point as always. MMD member is now the Ag. Chief Government Spokesperson. PF clowns have run out of STUPlD things to say! They have finished the whole list! Vincent MALE…..the guy/ Govt spokesman doesn’t even know how to write his name Olo niba LT masiteki? So these empty tins actually met to discuss things we already know and still carrying on on how they are going to waste more of taxpayers funds on useless costly ideas like construction and purchase of mission properties taking out of mortgages for properties that are located in prime location areas abroad, these are more loans that are being added on and on top of that we have to pay hefty conveyance fees to lawyers and estate agents. Its a real shame that a country blessed with sun and rivers is now relying on Aggreko plc supplier of temporary power generators. In all the above pronouncements they have conveniently omitted the costs which we will be paying in tax US dollars…more forex to leaving the country. 51 independence celebration repentance and forgiveness ” are they ready to repent for missmanaging the affairs of the country? Or is it the daily confessions that i make towards God? Yes we have all sinned and need to repent but the missmanagement is for them alone. That’s politicians for you when they are in trouble they use this fraud called religion to blind the docile masses like the pastors do to fund their lifestyles!! Just how does on import electric power from a Ship, in this case one docked at Beira port in Mozambique, when the ship is not generating any electricity and is not hooke to the Southern Africa electricity grid through which it could be wheeled on to Zambia? To me, this Scottish company called Aggrekkor Company is Jamisoni’s equivalent of Mr Kenneth Buchizya Kaunda’s oil fr0m grass!. They just don’t want to say power is from caborabasa Because it uses the same water our empty kariba uses. That dam is not merely fed by the Zambezi River BUT the Kafue River, Chongwe River, the Luangwa River, Mwambeshi River, Mushika River, Musangashi River…please let’s not be very lazy like our dull politicans…did you NOT do geography at school?? Naimwee, those are mare tributaries of the 4 th greatest river in Africa. FYI the upper Zambezi supplies 30% of the total out flow of the river. This is the part before the kariba dam. Mid Zambezi, the part between kariba and caborabasa where those tributaries you mention poures into caborabasa supply 35 % with the rest fed by tributaries after caborabasa. So even a small reduction in the water in Upper Zambezi as claimed by PF would affect caborabasa. Also notice how the Chinese company that supplied the turbines at kariba is so quite. There was major corruption in this deal, my guess is PF were told of the risks but the commission was too good to cancel the deal. Zambia should start executing corrupt officials then corruption will be reduced significantly. This is what China does. Treating corrupt officials with kid gloves is driving Zambia into the ground. Many zambians are dying and many more are being inconvenienced because of corrupt officials. Enough is enough. There is a Zimbo with political connections in Botswana that got 10 million Dollars for “facilitating” the sale of these turbines by the Chinese to Zambia. He is now hiding because an arrest warrant has been put out for him in Zimbabwe where he was based before. First we export power, then we fail to plan and start importing power. I say cut out all the exports immediateely! those contracts to RSA dont mean anything in comparison to what we are loosing economically, and who is RSA anyway? Some useless xenophobic country which is bennefiting more from us than we from them, our economy should come first! Period! @ jayjay, never expose your ignorance, do you exactly know where the Kafue river joins the Zambezi river? It is bellow the dam wall my dear collegue. most of those rivers you are mentioning are bellow the Dam wall. Any way understandably, empty vessels make more noise. Forgiven. ZAMBIA IS SINKING SO LOW, IMPORTING POWER FROM MOZAMBIQUE! ZESCO, A TOOL OF ABUSE AND CONDUIT OF LOOTING. THIS CORRUPT AND VINDICTIVE BOY VICTOR MUNDENDE REMAINING AS MANAGING DIRECTOR OF THE ESTABLISHMENT, ZESCO IS DEAD. LUNGU IS SUCH A MESS OF A PRESIDENT. ONE WONDERS, IS EDGAR LUNGU A TRUE ZAMBIAN WHEN HE IS CARELESSLY RUNNING OUR COUNTRY AND BUSY DESTROYING IT. FOREIGNERS HAVE INDEED INVADED OUR BELOVED COUNTRY. ONLY PRESIDENT MWANAWASA WAS A TRUE ZAMBIAN, THAT IS WHY HE CARED MUCH ABOUT OUR COUNTRY. THIS KAMWENDO MUNJILA IS NOT TRULY ZAMBIAN. 1. Why is our power management regime so incompetent that so much power is being exported from Kariba at low cost that we need to later buy power from other sources at premium cost? 2. How much are we going to pay for the power from Aggrekor? Surely people have never heard of powerships – ninshi what do people go to do kusukulu? They boast of having a smart phone yet cannot even use any search engine to answer these simple issues like powership? Last on the list load shedding. Why? They don’t know what to do to resolve the issue and anyway they have generators which we pay for!